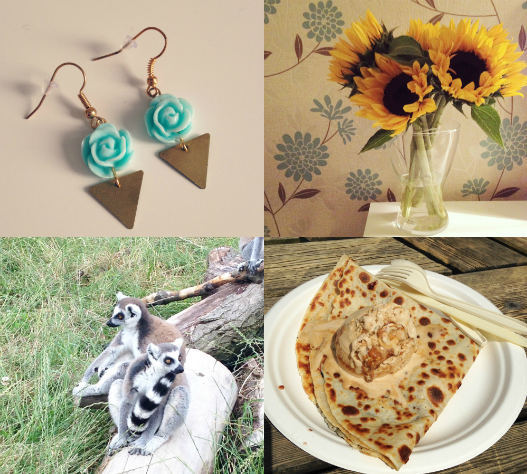 Earrings from my new jewellery shop that's just opened (here), sunflowers from my mum for my university results, the lemur walk through at Twycross zoo, delicious peanut butter, chocolate sauce and toffee ice-cream crepe. 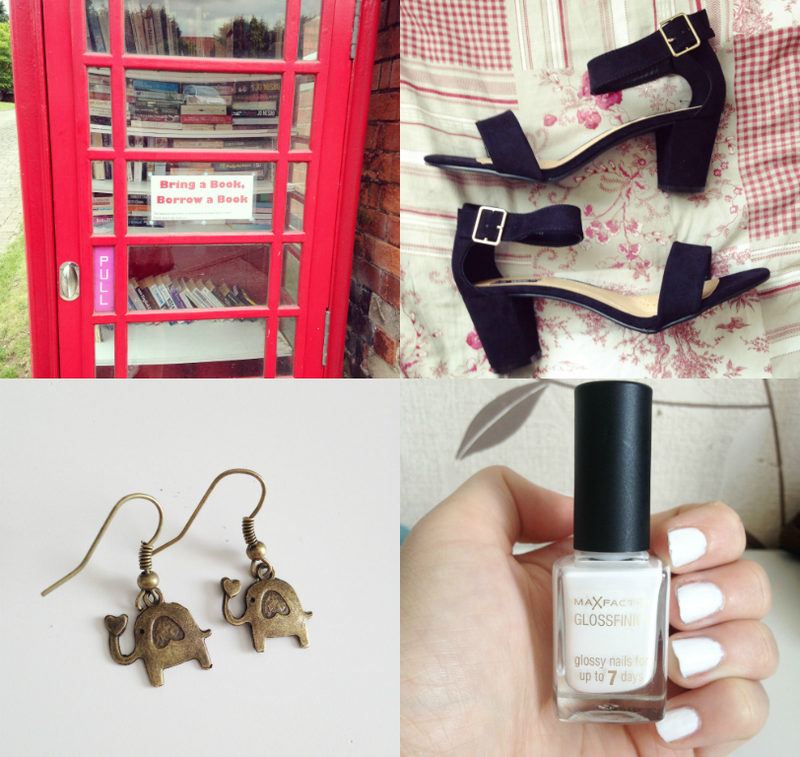 Telephone box library, my gorgeous new shoes from Primark that cost only £12, some more creations from my new shop - adorable elephant earrings, 'Snow White' by Max Factor Glossfinity may be my new favourite nail varnish. My instagram is here, leave me your links below. I'd love to follow some more of you!